Halloween is a time for enjoyment, holidays and decoration for kids and children who spend their free time in decorating their room, wardrobe, cycle, study table, school books, notebooks, stationery and other items. 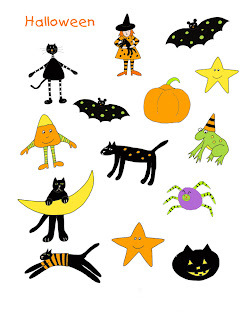 These printable Halloween stickers could be used for fun by all. 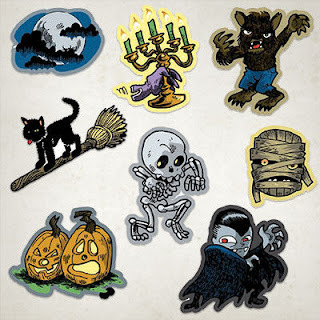 These self adhesive stickers of pumpkin, bats, candle, bats, witches, monsters and other halloween themes are free for all.